I recently read Edutopia’s article 3 Ways Coding and Gaming Can Enhance Learning and it brought back memories, specifically text adventure or interactive fiction from the 1980s. 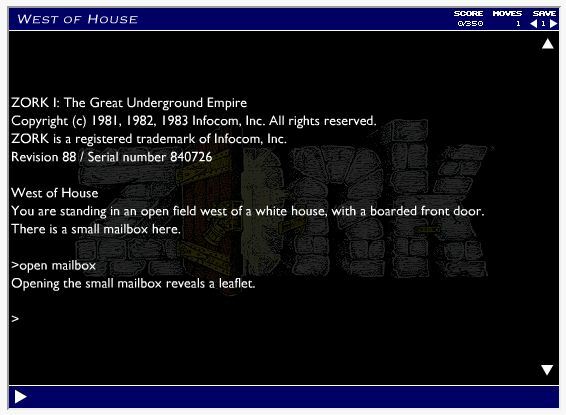 If you’re old enough to remember Zork, or have played it, you know what I’m talking about. Instead of navigating with a mouse, controller, or joystick, you type text to maneuver: open mailbox, take leaflet, go south, etc. Edutopia was promoting Inform 7 for students to write their own code. I couldn’t agree more. I encourage you and The Hour of Code people to add Inform 7 to their coding list. 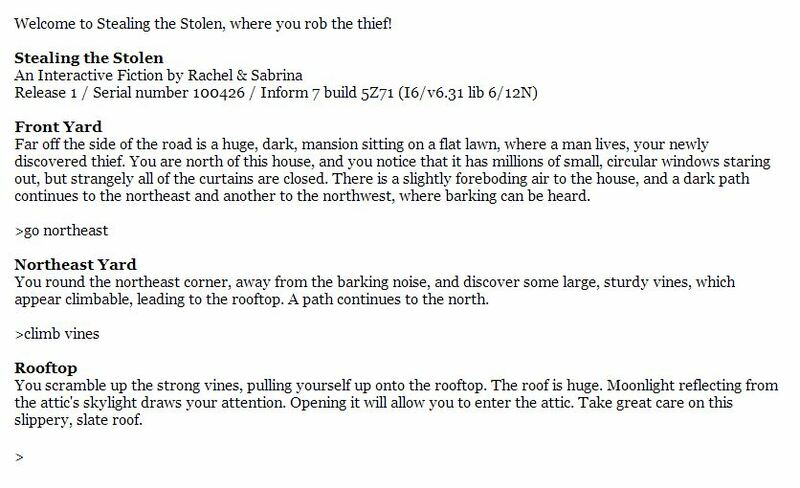 I don’t have much programming background but my students used Inform 7 to create their own interactive fiction games as an interdisciplinary unit when I taught 6th grade math, literature and language arts. One of the best was Stealing the Stolen, written by Rachel and Sabrina. The engagement and problem solving were incredible. The project did take a few weeks to complete and some days were filled with trouble shooting, but it was one of the best learning experiences my students ever had. If you forward this post to an LA teacher, they would be interested in knowing student writing was modeled using Grammar for Middle School, A Sentence Composing Approach. 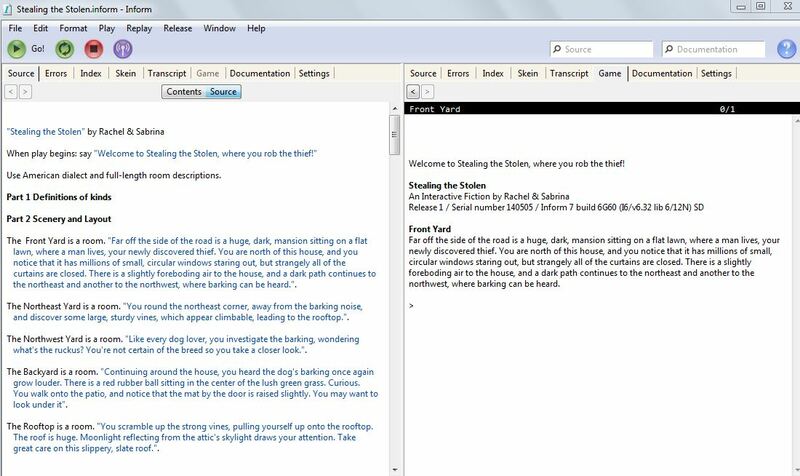 Everything you need to have students create their own text adventure can be found here.